The A&A Vesa men`s fur vests satisfy even the most perfectionist taste, being extremely stylish and high-quality. That’s true, our purpose is to go beyond the line and offer you stunning products whose great look is sustained by durability. Our men`s fur vests are perfect for the many cool days of a hard fall, but also for the cold nights of any season. 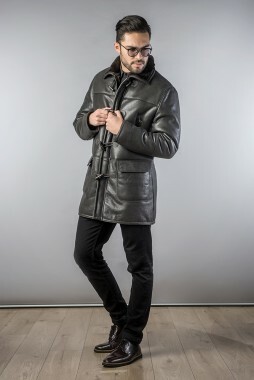 You will be protected from low temperatures without sweating due to the processed lamb leather, Nappa leather, moisture resistant suede or leather, smooth to the touch and merino sheared lamb fur. The lambskin vests are accessorized with zippers, they have pockets and perfect seams. 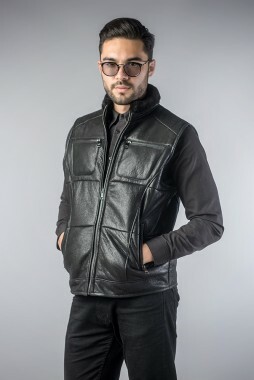 A&A Vesa collection has a modern design and it’s made with great attention to small details that make our men fur vests the most durable you can get. We only use natural fur and natural leather in our fabrication that we have perfected in over 25 years of creating the fur clothing lines. If you take good care of our fur vest, you will be able to wear it for ages. We offer our products at a bargain price because all of them will be delivered directly to you from our fur factory. You will be getting the best quality fur coats you can get, at the lowest price possible. 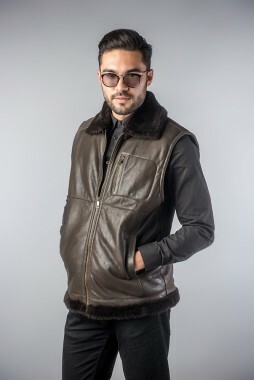 Check out our men`s fur vests collection!